An all-jumper show set in the stunning White Mountains of New Hampshire. Grass footing, great classes, amazing atmosphere. The best of the best showed here and then could be found eating at the down-home Spaghetti Shed or other local restaurants after the show. Held at the Farmington Polo Grounds for 41 years, Children's Services was the big kick-off show of the spring and summer season in New England. The grand prix was big for its time and also served as a qualifyier for the Olympics and Pan Am Games. For the equitation there was the coveted Governor's Cup. In 1992, Children's Services ended up becoming one of the Old Salem spring shows. 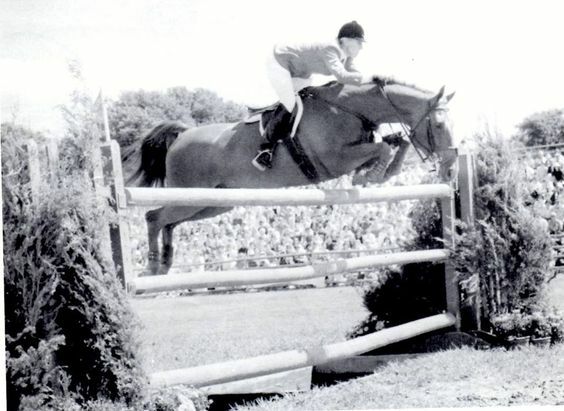 Held from 1976-1988 at Mason Phelps' gorgeous ocean-side family estate near Newport, RI, this was THE best jumper show of its time--perhaps of all time. It had it all: spectacular setting, rugged European-style course over natural jumps, huge crowd, and fabulous parties. It was the place to see and be seen! A beautiful, bucolic setting on the all girls school campus, this show held in August was a must for the end of summer schedule. 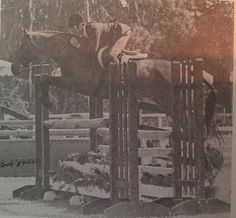 Brave riders sometimes jumped a few of the natural obstacles from the cross country course to warm up for the ring. Pony riders could be found having horseless horse-shows with lawn chairs as jumps.